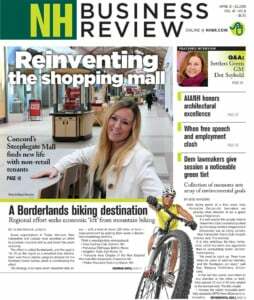 In the June 19 issue of NH Business Review, Commissioner Taylor Caswell of the NH Department of Business and Economic Affairs mapped out the new agency’s focus on innovative strategies to recruit talent and build our state’s strengths, including its academic institutions. (“A new approach to economic development in NH.”) I would like to commend and elaborate on just how powerful a collaboration between universities and economic development can be. As CEO of MobileRobots Inc. in Amherst, I participated in the evolution of the autonomous robotics industry from a sandbox for Ph.D.’s to the birth of commercial autonomous vehicles. The forces driving U.S. leadership in autonomous navigation were federal research grants, DARPA contests and attractive professorships at universities that nurtured industry leaders. You see, leadership in autonomous navigation did not begin in the U.S.; it started in Germany. Stanford Research Institute was making some Flakey attempts (yes, Flakey was the robot’s name) at planning a path along an office corridor, while avoiding obstacles. But it was Sebastian Thrun and his colleagues at the University of Bonn who used probabilistic reasoning to map and autonomously guide visitors around the Deutsches Museum there. Carnegie Mellon University enticed Thrun to their Robotics Institute in the U.S. Pittsburgh is now a hotbed of robotics activity, with small companies started by Carnegie Mellon graduates. Brilliant students flocked there from the U.S. and around the world, attracted by the cutting-edge research of Professor Thrun. Their autonomous car drove farthest in the first DARPA Grand Challenge across the desert. So Stanford recruited Thrun, resulting in a first-place finish in the second DARPA autonomous vehicle race, 11 minutes faster than his former Carnegie Mellon team. Meanwhile, Stanford grads were forming startups or joining companies like Intel and Google. Thrun himself was recruited by Google to found their self-driving car team. Most commercial autonomous cars are based on approaches developed by his teams. I’m proud that my and my husband’s company, MobileRobots Inc., provided the robots that many of the thousands of his, and other robotics professors’ students, learned on. I’ve seen firsthand what happens when a university seeks out the top researcher in a field and attracts him. Because, while facilities are important, it’s the people who lead them who matter most. I once asked Sebastian why he moved from Bonn to the U.S. He answered that the pay, the research funding and the freedom from administrative responsibilities made the U.S. much more appealing. And at that time, the U.S. welcomed talent from around the world, making it easy for him to attract top graduate students. Commissioner Caswell is so right that universities are integral to our economic success. If we want to become the Silicon Valley of regenerative medicine, or any other field, we need to attract the top researchers in those fields. The path is clear. Will Congress, our state Legislature and our governor enable Commissioner Caswell to follow it? Jeanne Dietsch of Peterborough is founder of MobileRobots Inc. and is running for Senate District 9.